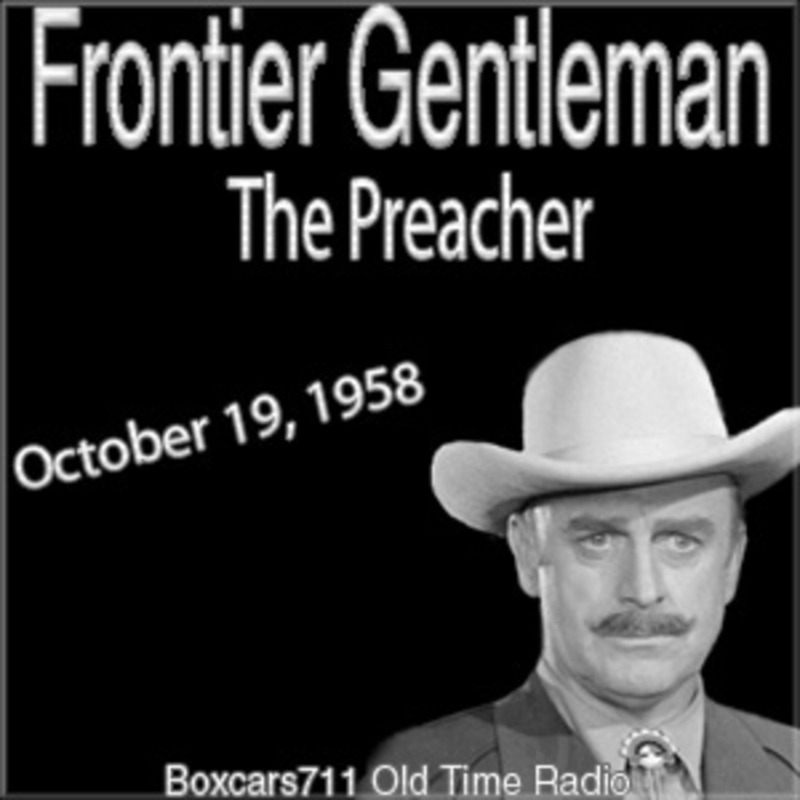 Frontier Gentleman was a radio Western series heard on CBS from February 2 to November 16, 1958. Written and directed by Antony Ellis, it followed the adventures of J.B. Kendall (John Dehner), a London Times reporter, as he roamed the Western United States, encountering various outlaws and well-known historical figures, such as Jesse James and Calamity Jane. Written and directed by Antony Ellis, it followed the adventures of journalist Kendall as he roamed the Western United States in search of stories for the Times. Along the way, he encountered various fictional drifters and outlaws in addition to well-known historical figures, such as Jesse James, Calamity Jane and Wild Bill Hickok. Show Notes From The Old Time Radio Researcher's Group. THIS EPISODE: October 19, 1958. CBS network. "The Preacher". Sponsored by: Chrysler Corporation, Kent. Kendall tries to prevent a gunfight betwen a preacher and a man determined to kill him. The system cue is added live. John Dehner, Antony Ellis (writer, producer, director), Waldo Epperson, Ray Woods, Richard Perkins. 23:56. Episode Notes From The Radio Gold Index.